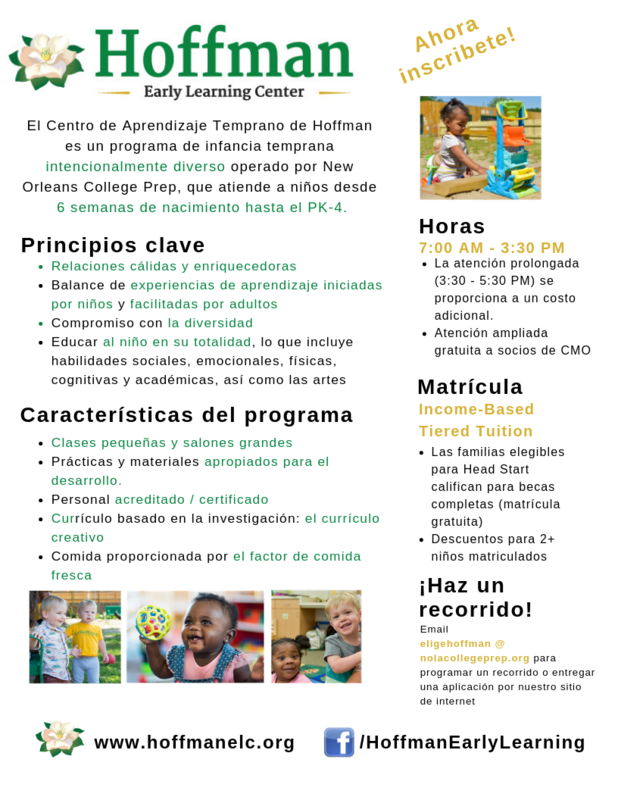 John W. Hoffman Early Learning Center will prepare children with the academic and life skills for success in college, career and beyond. For our young infants through preschoolers, this means being prepared for kindergarten. 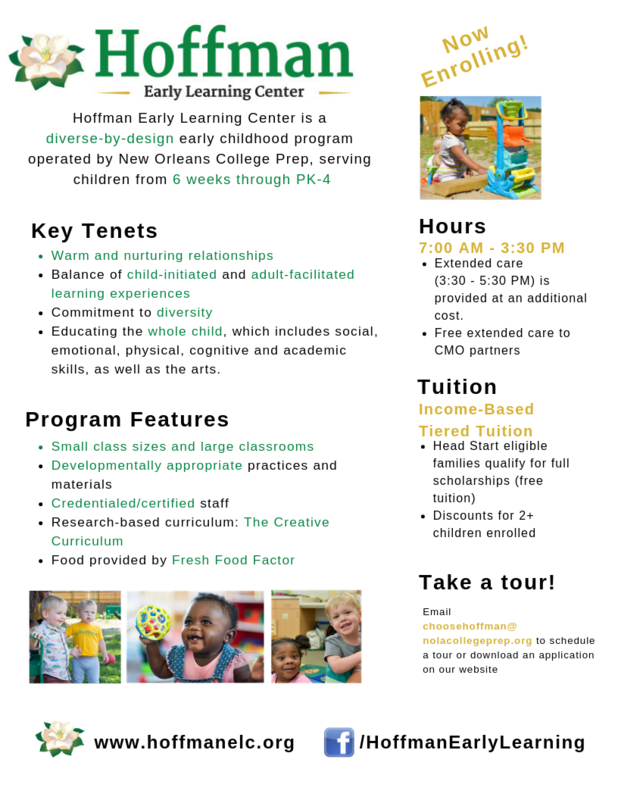 John W. Hoffman Early Learning Center is a licensed child care facility of excellence that prepares children for kindergarten and life through a high-quality and rigorous educational program. We build strong social and emotional foundations for academic scholarship. We model positive, respectful, and collaborative interactions that honor young children’s unique strengths, individuality, and diversity. We strive to develop an inclusive community of reflective, life-long learners by engaging and empowering the whole child and their family. As a member of New Orleans College Prep, we build our program standards upon the foundation of six core values: Excellence, Respect, Perseverance, Caring, Responsibility, and Joy. At Hoffman, we include diversity as a founding value and recognize its purpose in connecting children to their families, culture, community, and the natural world.